In 2011, John Harrington set about converting the first floor of his bespoke jewellery shop into a unique, one-bedroom, hotel. 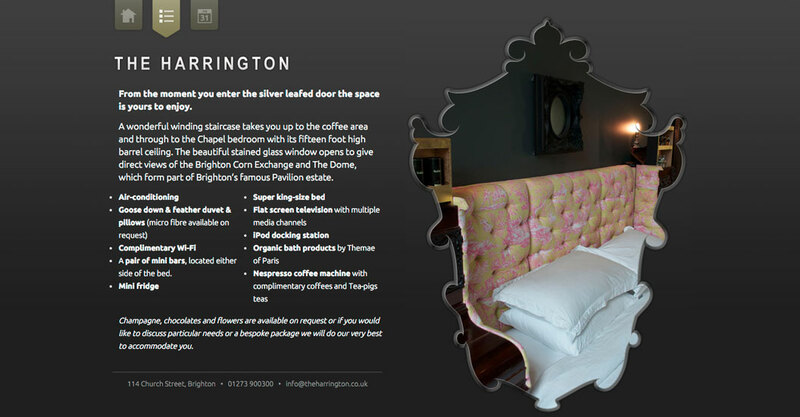 He wanted a simple site to showcase the creativity of the venue to those looking for an unusual, decadent stay in Brighton, and show availability. 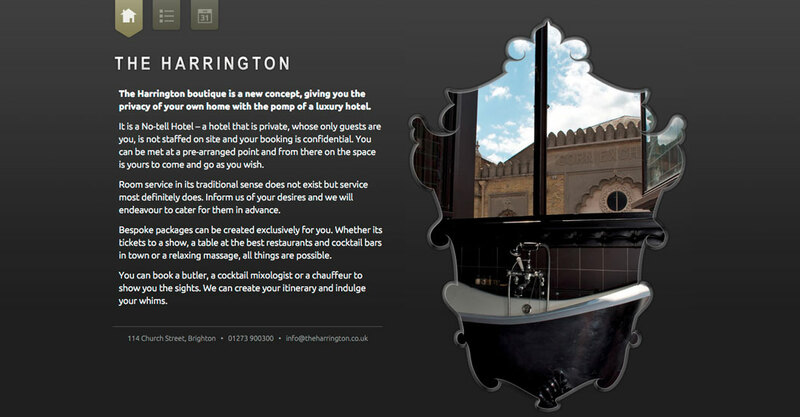 I built a small WordPress to enable John to update imagery as the hotel wasÂ completed, he could also maintain the calendar directly from his phone as he was rarely in the office. It continued to work well for him until he sold to the neighbouring MyHotel which now offers it, unchanged, as a premium suite.